No matter what kind of recreational vehicle you own, knowing that you and your property are covered should give you the peace of mind to relax and enjoy your journey. 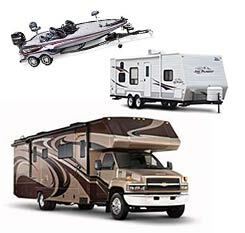 You own a recreational vehicle and you need to know you are covered. We have the insurance protection you need. We work with "A+" rated insurers offering programs covering all types of recreational vehicles. We've partnered with industry leaders in specialty insurance products. You can rest assured that you have the right coverage for your recreational vehicles.